Welcome all! This is iOS 9.3.4 / 9.3.5 jailbreak wizard that direct you to real path way to Cydia download for your iPhone, iPad or iPod. You can find all information & guides that supports to download Cydia for iOS 9.3.5 / 9.3.4 users. Just go ahead & find your jailbreak to get real Cydia for your device. First of all you should have to know, the latest Pangu iOS 9.2 – 9.3.3 jailbreak tool is not work with iOS 9.3.4 & 9.3.5 versions. Because, Apple has killed Pangu jailbreak in iOS 9.3.4 as well as in iOS 9.3.5 version update. So, you can not use Pangu for Cydia download iOS 9.3.4 & later versions. There are so many fake tools & method available in the web that claims download Cydia for iOS 9.3.5 / 9.3.4 with & without jailbreak. And some websites try to install fake/useless web-clip application for Devices & after collect money. Please be careful & stay away from those things. Without a real jailbreak solution (developed by a very talented person/team) you are unable to install Cydia for your device. Cydia & jailbreak software are completely FREE for all users so you no need pay or buy any software or tool kit for jailbreak iOS 9.3.5 / 9.3.4 or Cydia download. 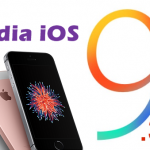 Can I install Cydia for iOS 9.3.4 iPhone, iPad or iPod now ? Update : Untether for Home Depot jailbreak iOS 9.1 – 9.3.4 released ! 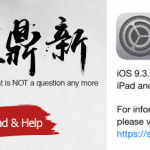 Can jailbreak iOS 9.3.5 ? As I said above, Home Depot can not be used to jailbreak iOS 9.3.5 firmware. But, the developer of that tool recently demoed iOS 9.3.5 jailbreak as well. 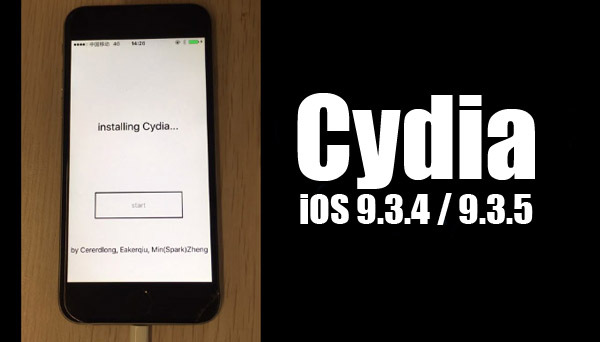 He shows off Cydia iOS 9.3.5 on iPhone 4S device successfully. 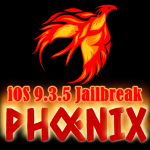 You can follow full story bellow..
Update : Phoenix jailbreak for iOS 9.3.5 has been released! Can download Cydia for iOS 9.3.5 devices (Currently)? Yes, now you can download Cydia for iOS 9.3.5 running device using new Phoenix jailbreak recently released. Please remember, iOS 9.3.5 jailbreak compatible for 32-bit devices only. Cydia Downloader & Installer – You can easily find your jailbreak with cyHelper-jailbreak detective tool for free. While waiting Cydia for iOS 9.3.5 to release, you can try Cydia alternatives to download your favorites jailbreak apps / tweaks for your iPhone, iPad & iPod. COME ON… There must be thousands upon thousands of people like me stuck on 9.3.5 STILL goddam waiting for a stable jailbreak… Honestly no-one with a new iDevice give fkn damn about jailbreaking… 9.3.5 has to be the priority for pity’s sake! Please My dear My Iphone is iphone 4s but ios 9.3.5 😔💔 i need cydia please Who Can help me ?? Still there is no iOS 9.3.4/9.3.5 jailbreak publicly available. So, you can try these Cydia alternatives with your device..
It’s good, hope i can use it. Please keep touch with our helper application. When jailbreak release this app will notify to install Cydia for your device. Please make unthetered jailbreak for iOS 9.3.5 – many thanks for semi unthetered ! Pls follow our guides & get Cydia app to your device. If you are developer, iOS 11.1 beta version can download for your device.